Add natural-looking definition to your eyebrows with the Maybelline Brow Precise Micro Pencil, a dual-ended mechanical eyebrow pencil with ultra-fine, 1.5mm tip and built-in grooming brush to precisely fill, shape and enhance your brows. 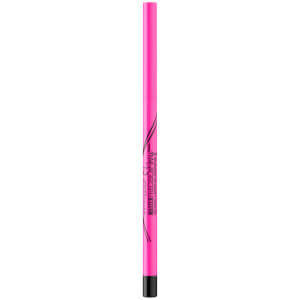 The precision pencil glides effortlessly through hairs, filling in sparse areas of the brow whilst adding depth and definition to your arches to expertly frame your face. 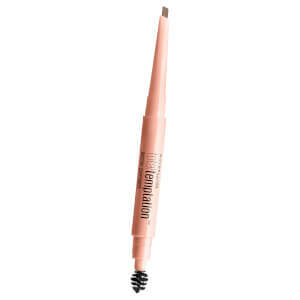 Its ultra-fine tip delivers natural-looking strokes that blend seamlessly with your natural hairs to define, sculpt and accentuate your brows. Use the integrated grooming brush to blend and tame for an ultra-preened finish. 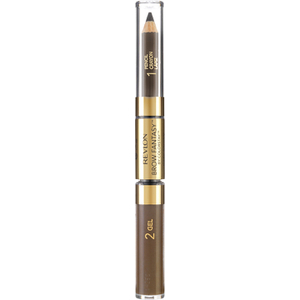 Draw small, light strokes along the brow contour. Use the brush to groom hairs upward and outward to blend color and set brows. Synthetic Japan Wax, Stearic Acid, Hydrogenated Soybean Oil, Hydrogenated Coco-Glycerides, Zinc Stearate, Polybutene, Hydrogenated Vegetable Oil, Cera Alba / Beeswax / Cire Dabeille, Copernicia Cerifera Cera / Carnauba Wax / Cire De Carnauba, Myristyl Myristate, Vp/Eicosene Copolymer, Polyglyceryl-2 Triisostearate, Triethoxycaprylylsilane Polyhydroxystearic Acid, Citric Acid. [+/- May Contain / Peut Contenir CI 77491, CI 77492, CI 77499 / Iron Oxides Mica CI 77891 / Titanium Dioxide ] D185947/1.